Former US Secretary of State Henry Kissinger has hit out at American and European Ukraine policy, saying it ignores Russia’s relationship with its neighbor, and has called for cooperation between the White House and the Kremlin on the issue. The diplomat, who is most famous for serving in the Nixon administration, and controversially being awarded the 1973 Nobel Peace Prize, for negotiating the Vietnam ceasefire, accused the West of failing to recognize the historical context in which the fallout occurred between Moscow and Kiev. Kissinger lays the blame for sparking the conflict at the door of the EU, which proposed a trade deal in 2013, without considering how it would alienate Moscow, and divide the Ukrainian people. “The first mistake was the inadvertent conduct of the European Union. They did not understand the implications of some of their own conditions. Ukrainian domestic politics made it look impossible for [former Ukrainian president Viktor] Yanukovych to accept the EU terms and be reelected or for Russia to view them as purely economic,” said Kissinger. For Kissinger, the wheels of the stand-off between Moscow and the West were already set in motion during the subsequent Maidan street protests – heartily endorsed by the West – which demanded the toppling of the pro-Russian Yanukovich, an aim that was eventually achieved. Obama, as his critics will remind you, did not seek to "break" Russia. We tried to Reset relations with Russia. Putin in 2012 rejected. With the armed conflict in Ukraine still showing no signs of resolution, Kissinger repeated his previous proposal for Ukraine to become a buffer, or mediator state between Russia and the West. 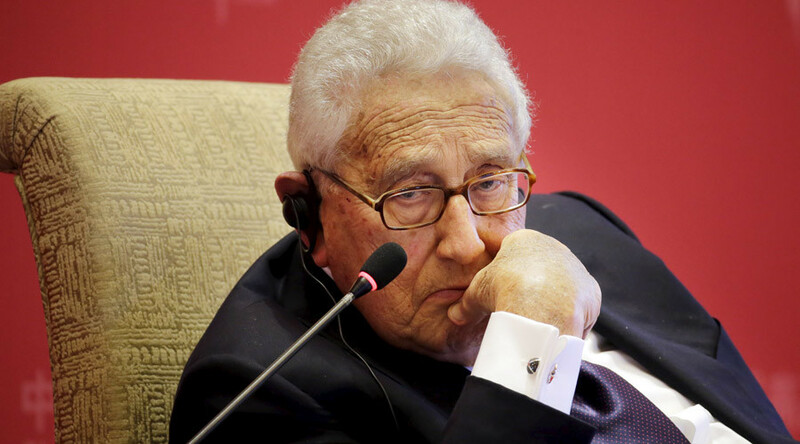 While Kissinger insists that he believes that Ukraine’s territorial integrity, including Crimea, which joined Russia last year, should have remained unaffected, he called for the West to stop backing Kiev at all costs, even as the victims of the conflict pile up. “The Ukraine crisis is turning into a tragedy because it is confusing the long-range interests of global order with the immediate need of restoring Ukrainian identity,” summed up the veteran diplomat.